What makes people of varied backgrounds come together to participate in an archaeological excavation? That’s something that the Historical Society of Cheshire County is asking its student volunteers. Cole, a sophomore at Fall Mountain Regional High School, and Macy, an eighth grader at Surry Village Charter School, are working with staff and the archaeology team hired to conduct the excavation to select artifacts for display, write labels, assist with the process of designing and installing the mini-exhibit, to create hands-on educational activities for visitors of the exhibit, and assist with planning the opening reception. 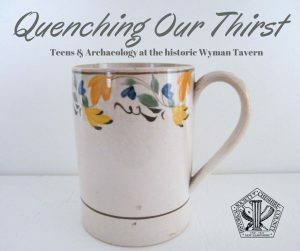 The opening reception of Quenching our Thirst will be held at the Historical Society’s main headquarters at 246 Main Street in Keene on Wednesday, October 8th from 5:30-7:30pm. Activities associated with the exhibit will introduce visitors to the process of doing an archaeological excavation and will ask visitors to consider their own thirst for knowledge and making connections to people. The archaeology field school, which took place in August, was led by Martha Pinello who has three decades of experience at historic sites throughout New England. She served for many years as the Chief Archaeologist at the Strawbery Banke Museum in Portsmouth, New Hampshire. The history that has been uncovered by the excavation will add to the Society’s understanding of its historic Wyman Tavern as well as the people who lived and worked there over the last 250 years. 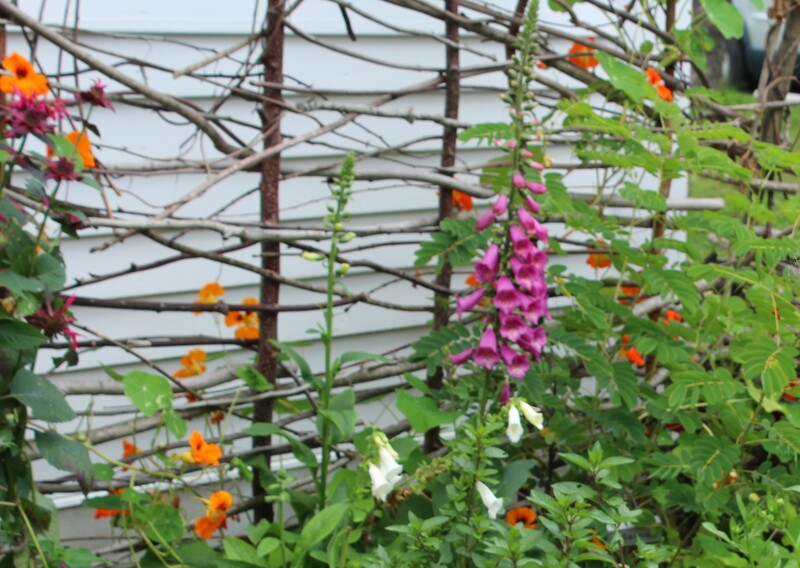 More than that, it provides an opportunity to discover the buried history of Keene and New Hampshire. The Wyman Tavern was constructed in 1762 for Captain Isaac Wyman, a veteran of the French and Indian Wars, and until 1802 it was operated as a tavern by Wyman and his family. From 1818 to 1873, the Reverend Zedekiah Smith Barstow made his home there as a parsonage. The Historical Society is in the planning phase of transitioning the tavern from a period house museum to a cultural heritage center, a vision that promises to engage the public in new ways as the Society carries out its mission to collect, preserve, and communicate the history of Cheshire County.